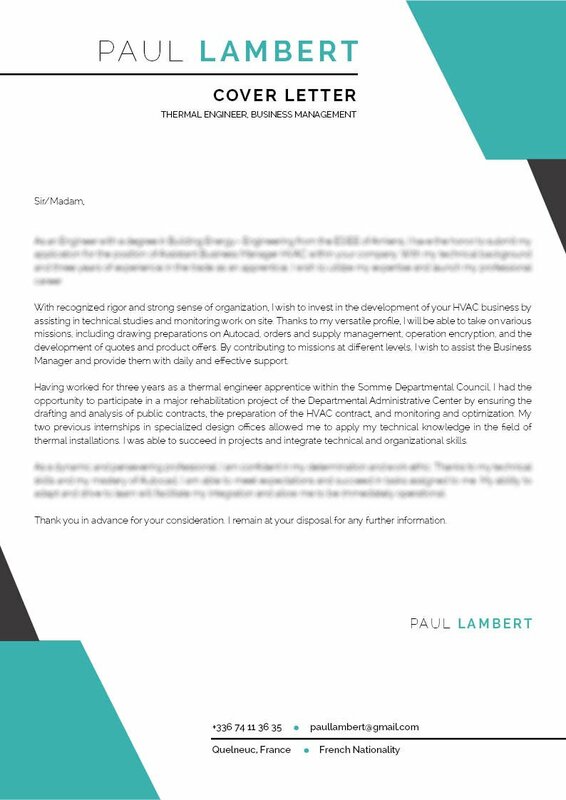 A cover letter template engineered perfectly for the engineering sector. What more could you ask for? Cover letter to download "Engineer-1"
This cover letter is simply one of the best templates for thermal engineers! 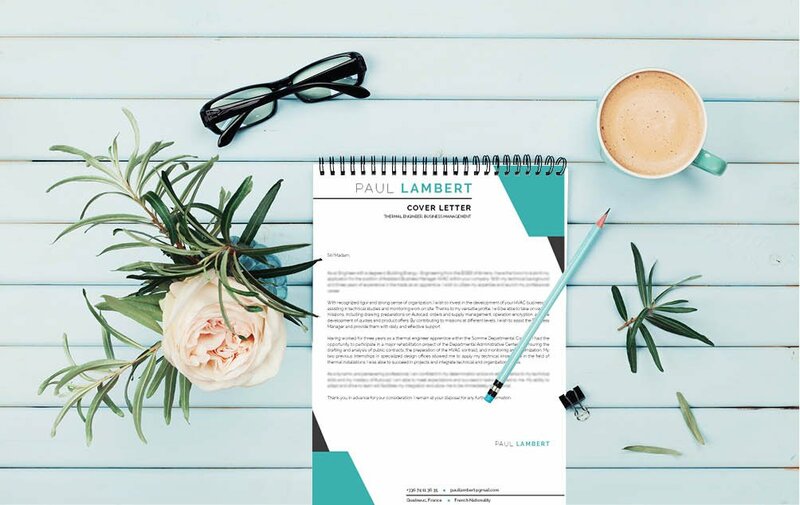 Since most jobs in this sector require a solid set of experience and skills, this cover letter template features a clear and comprehensive design perfect for any job applicant as all your professional experience and expertise are clearly highlighted and written in good detail, which is sure to impress any hiring manager that sees it! Always remember—give your cover letter an effective and comprehensive design! That cover letter of yours might just be your ticket to landing that dream job. 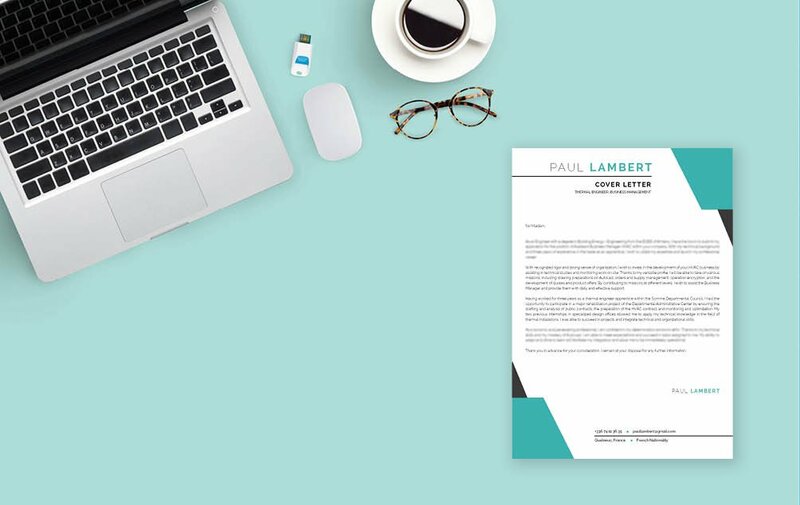 One of the key factors in a good cover letter is a clear and functional design. Since most cover letters are scanned for about 10-30 seconds, it's important that you place all the information in a well-organized structure. To achieve this, use a simple, yet professional font (e.g. Calibri or Sans Serif) Choose a font size between 11 and 12 and use italic and/or bold font styles to help guide the reader's eyes along the cover letter. 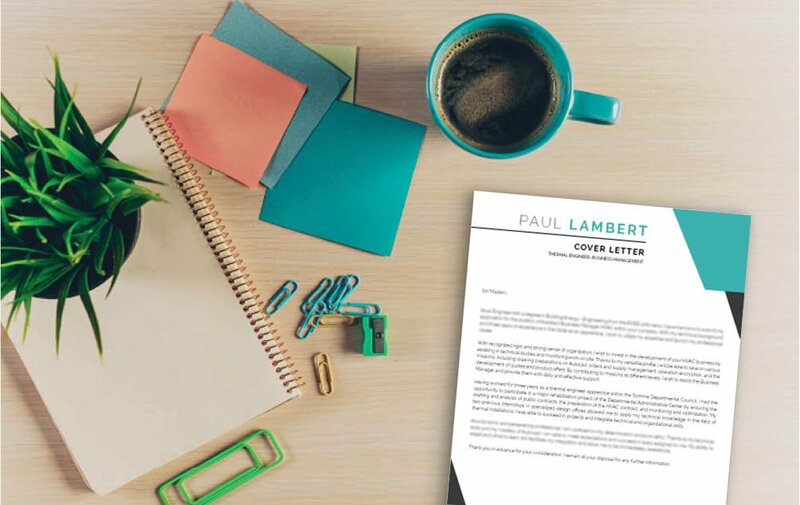 Using graphics and bullets will effectively highlight the key parts of your cover letter. And lastly, use headings and subheadings to give your cover letter a logical format that can be easily followed.